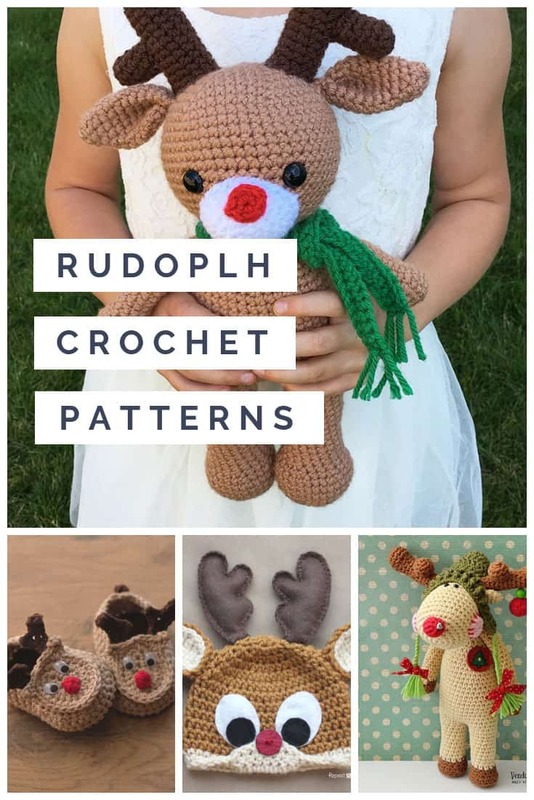 You can’t have Christmas without Santa’s most important reindeer so we have the cutest Rudolph crochet patterns for you today! 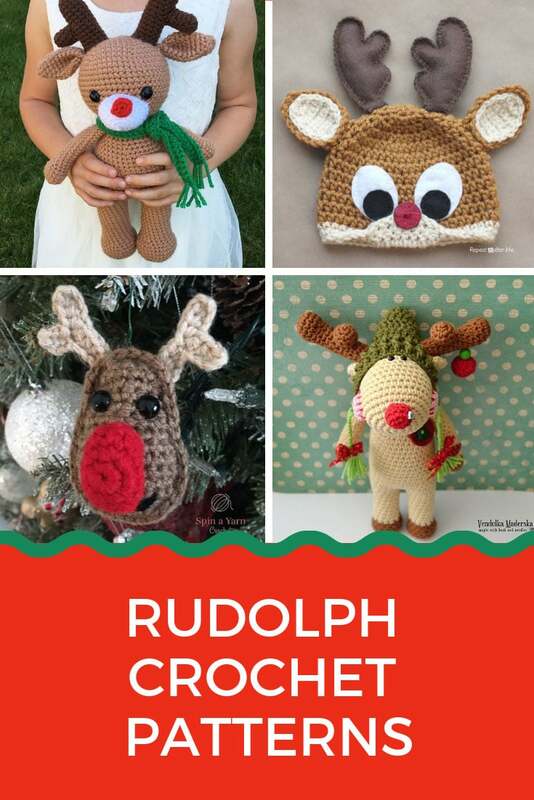 It’s time to embrace the Holiday spirit with one of these adorable Rudolph crochet patterns! 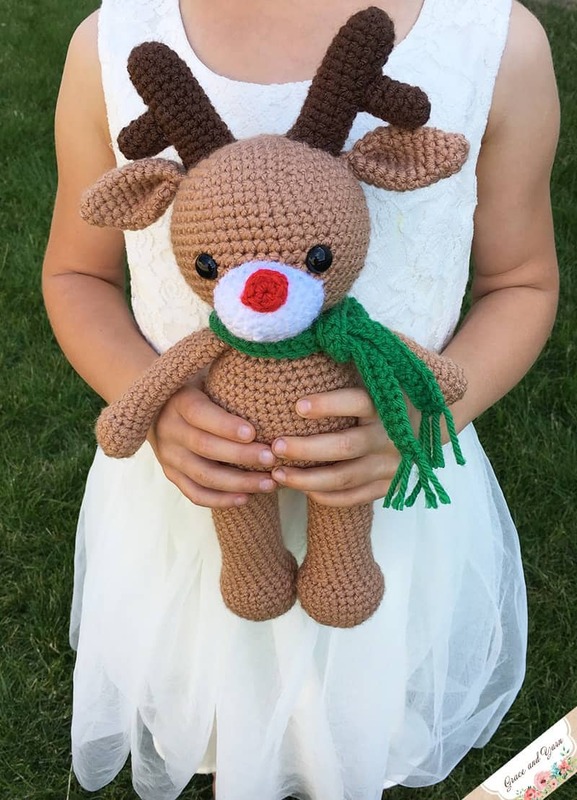 I’ve searched high and low for the cutest reindeer projects I could find and I’ve got cuddly toys in all shapes and sizes and the cutest hat you need to see! Let’s kick things off with this adorable little guy with his green and red striped scarf! 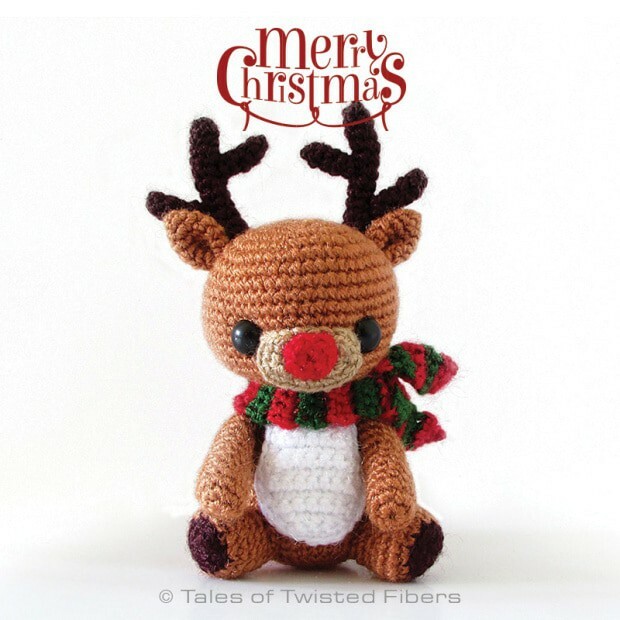 He’s the perfect size for little ones to cuddle, but would also make a fabulous Secret Santa gift for a friend or coworker! This is a free pattern that’s best for intermediate crocheters. 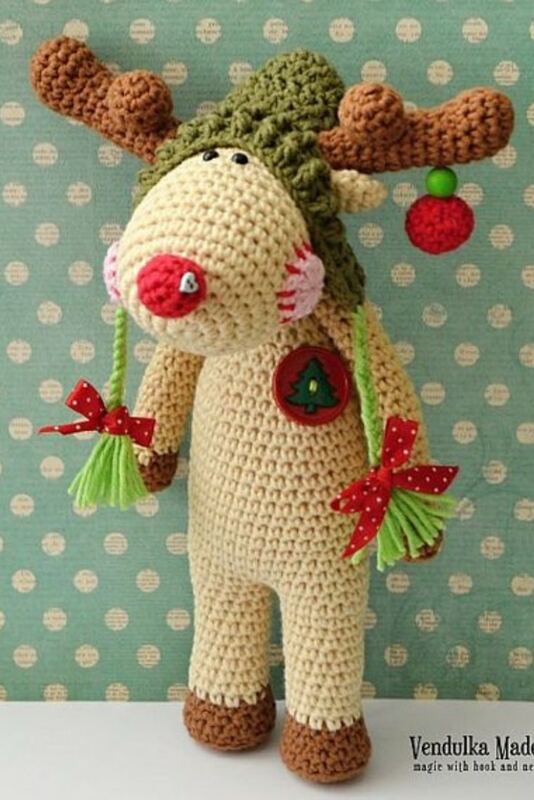 Or how about this ADORABLE little reindeer stuffie who is all dressed for Christmas with his baubles and his wooly hat! Or sweet little Rudy, who is made with sock weight yarn and stands at just 4.5 inches tall! 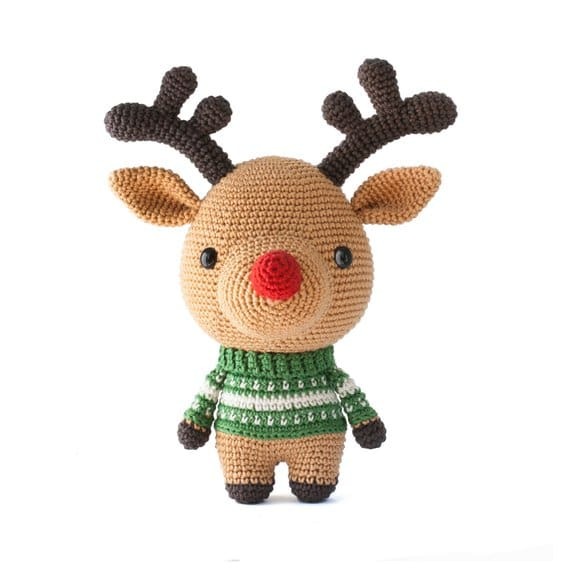 If you know how to make a magic ring then this little amigurumi reindeer should come together super quick making him a perfect weekend project. I LOVE the patterns written by DIYFluffies because not only are they super easy to follow but the toys that you make are so stinking cute! And they have a whole menagerie of animal friends to choose from that all have the same look. Ooooh isn’t he just the cutest! And so big and cuddly too! 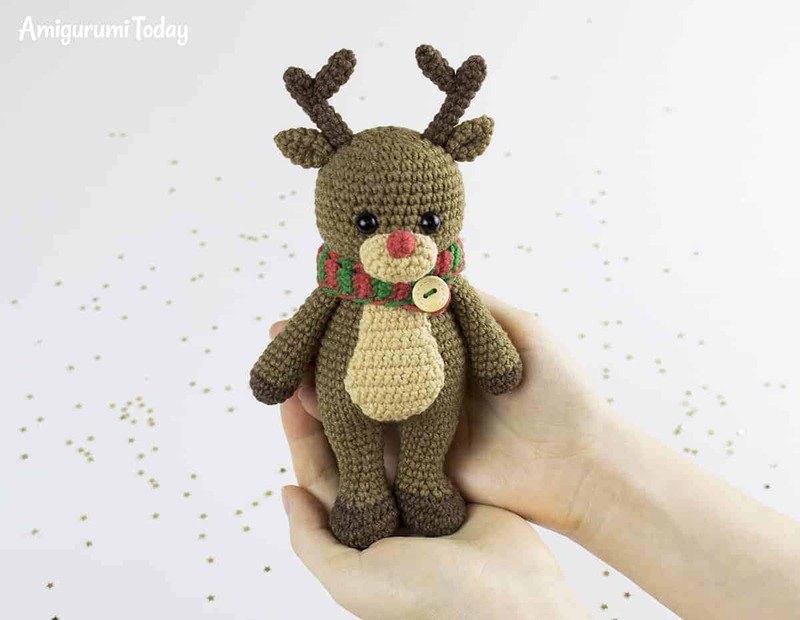 This free pattern is super easy to follow and includes lots of photos too to help you make this fabulous Amigurumi reindeer. 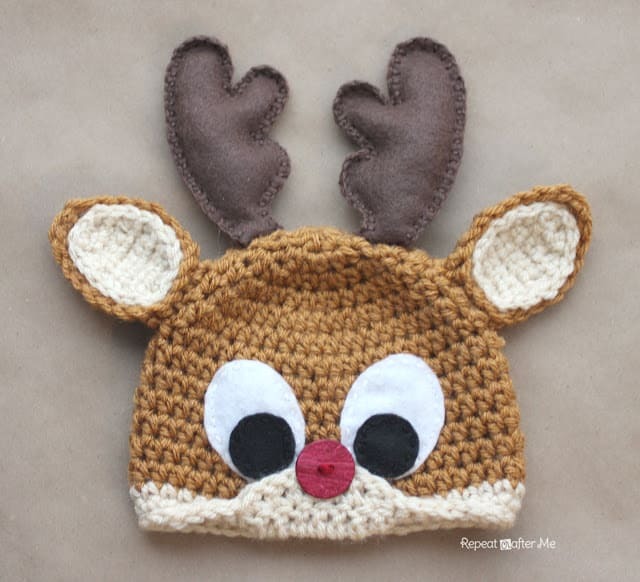 Ok so that’s five different Rudolph stuffies for you to choose from, but what if you want to make something else… like a hat… oh my goodness this hat will only look cuter when it is on a little one’s head! Oh my goodness… these baby booties… so stinking ADORABLE! If you are looking for gift ideas for a December baby shower you HAVE TO MAKE THESE!!! Ooh speaking of baby shower gifts, we have a whole collection of crochet baby toys you should check out! 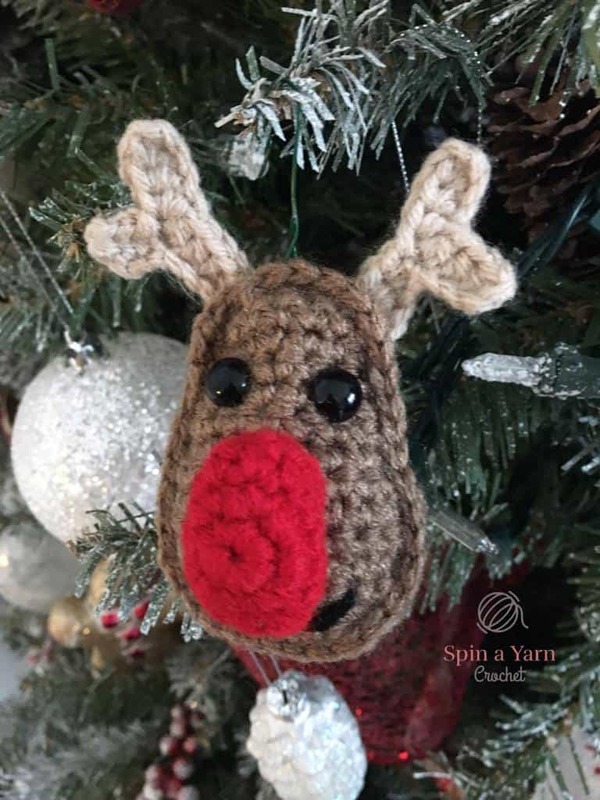 I totally missed this cute little ornament when I was rounding up crochet Christmas decorations the other day (<<-- definitely click and check those out!)! You need to know how to magic ring but these little reindeer whip up really quickly making them perfect for hanging on your tree, stringing into a Rudolph garland or even using as gift tags! What do you think? 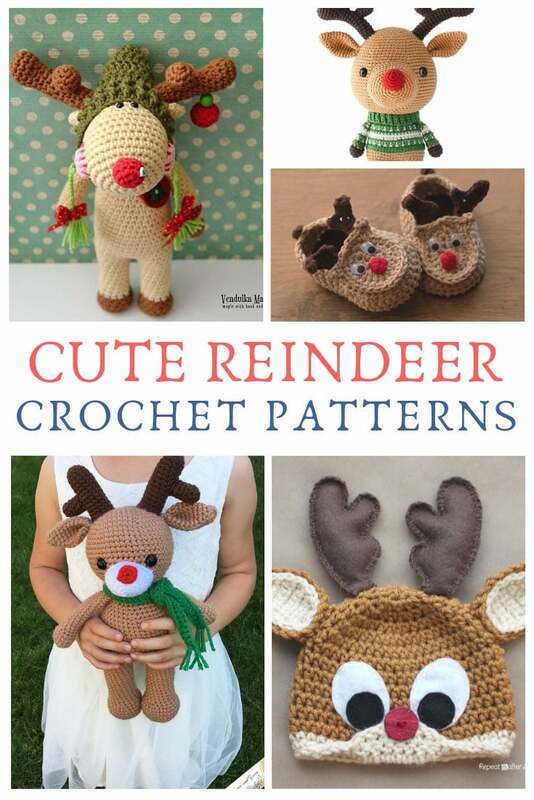 Seriously cute Rudolphs all of them, but which one will you make? You can leave us a comment to let us know or even better share a picture once you’ve made something! We’d love to see!